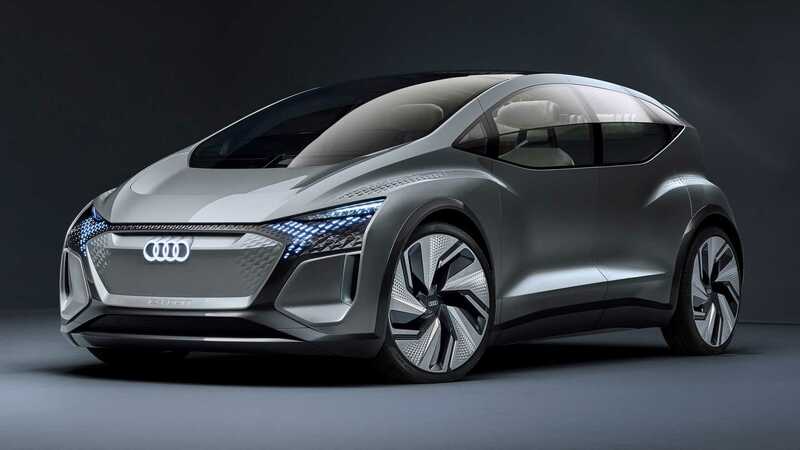 Audi has revealed all there was to reveal about its upcoming compact urban EV called the AI: me. The vehicle will be there for everyone to see at the 2019 Auto Shanghai show. According to the manufacturer, the car comes based on the MEB architecture, which has been designed specifically for electric vehicles. It measures 4.3 meters (14.1 ft.) long, 1.9 m (6.25 ft.) wide and 1.52 m (5 ft.) tall with 2.77 m (9.1 ft.) between the axles. On the outside, the Audi AI: me looks like a car from the future and sports short overhangs along with adaptive suspension. The mini hatchback comes powered by a single rear-axle mounted engine capable of producing up to 170 hp (127 kW). The company says the seemingly lackluster engine power should not be an issue in an urban environment, which is where people are primarily going to drive it. The battery comes rated at 400 to 600 km (250 to 375 miles, depending on your chosen trim version) of range. The concept car additionally features an SAE Level IV self-drive system, a retractable steering wheel, a 3D digital dash interface, a sophisticated multimedia center complete with 3D goggles, assorted niches for storing notebooks, tablets and the like, and magnets for holding cups and plates in place during the trip. The AI: me might prove a welcome addition to the car sharing fleet, since you can order it to your home or office with a few taps in its dedicated mobile app.